Cool Aching Muscles Fast with Soothing Touch Freeze! Calm your client's sore muscles and joint pain with Soothing Touch Freeze! Soothing Touch® Freeze penetrates quickly to relieve aches and pains related to acute and chronic sore muscles, joints, and general pain. It can be applied to sore areas on the body daily. 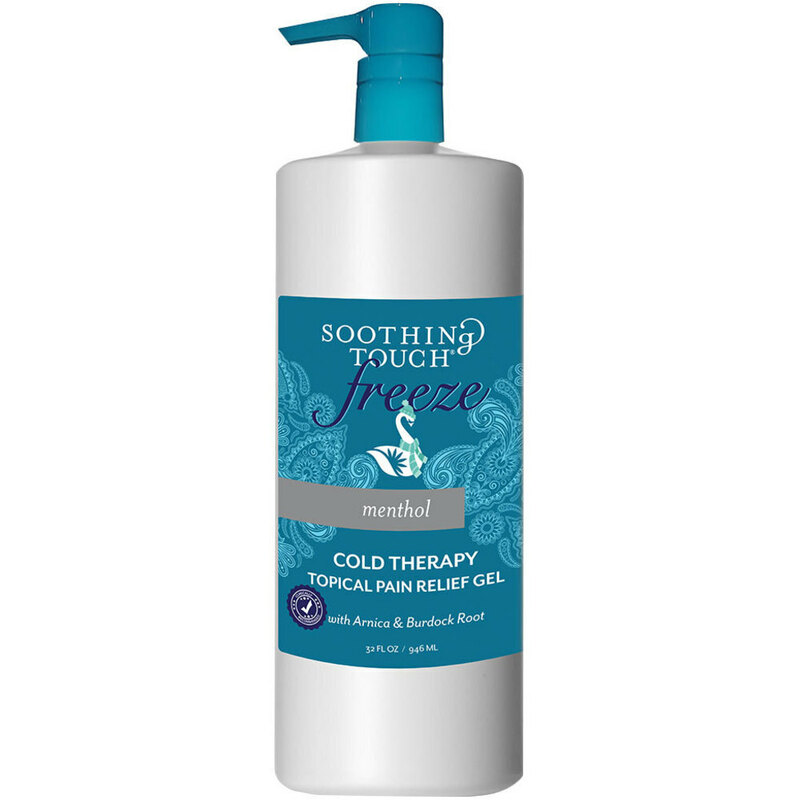 Soothing Touch® Freeze is clinically recommended and has a fast-acting effect. Suited for professionals on hard-working hands or on larger muscle areas, this gel will provide a long-lasting effect with consistent use. 32 oz. If you are pregnant or on medication consult your doctor before use. Do not use on face, open wounds or sensitive areas. Not only does it smell delicious, but cocoa butter does wonders for the skin! The antioxidant qualities of cocoa butter can help to prevent signs of aging, and the antioxidants can also help to protect the skin from environmental, internal, and external forces that can cause irritation or damage to the skin. We just got in a new batch of massage lotions made with cocoa lotion! Be sure to check out our Cocoa-Comfort Massage Lotion by Biotone. This delicious Cocoa-Comfort Massage Lotion is made with cocoa butter, avocado, aloe vera, and soy oils that provide lasting work-ability with a smooth glide and silky texture. It also provides the benefits of cocoa butter to promote softening and hydration of the skin. Your clients will love it, and smell amazing. We have all different sizes, so you can stock up! Beat Those Winter Blues With Massage! With the holiday stresses (there are too many to list! ), colder weather or if you're in a warmer climate, the days becoming dark so early....people tend to feel more run down. If you're in a snowy climate add in the aches and pains from shoveling! 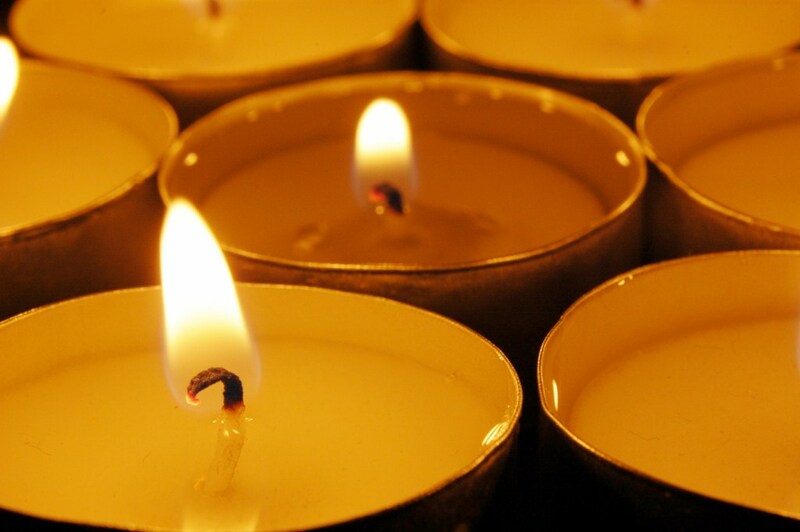 Massage therapy is a sure fire way to combat the winter blues no matter where you are. The relaxing effect is a sure fire stress reliever especially if you're utilizing relaxation or calming lotions or oils. Add in some calming essential oils, cushy table warmers (the Deluxe Table Warmer Samadhi-Pro by EarthLite is a best seller! ), herbal eye pads and relaxing sounds like a water feature and your clients will be in pure bliss! For those clients with extra aches and pains from shoveling or running around shopping and going to holiday parties, have some muscle relief items like biofreeze or tiger balm on hand. Great to use on sore spots at the end of the treatment but also a great retail item for use in between treatments. Almost everyone experiences some type of winter stress, be sure to advertise how you can help! Fun and Whimsical Holsters to Bring Out Your WILD SIDE! Who says massage therapists have to be quiet and reserved, limited in their work attire? Let your fun side shine through with these adorable new holsters from Haute Hip! 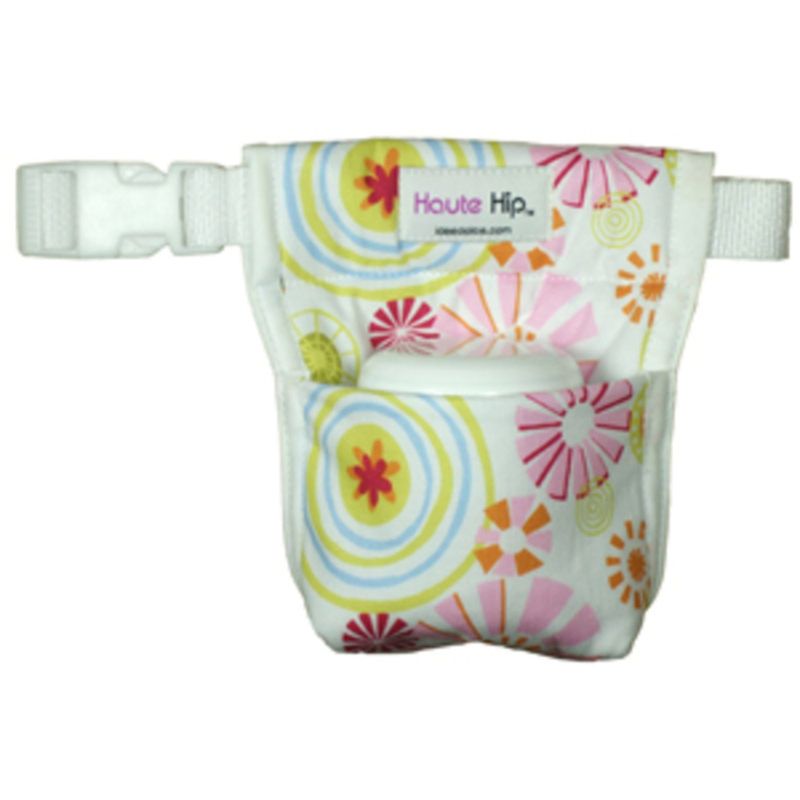 Available in a variety of styles and prints, these Haute Hip holsters are bound to bring a smile to your face. Keep your lotion at your side without compromising your style or flair. Insulated to keep product warm or cold (your choice! ), handcrafted in the United States. The newest innovation from Amber Products, the Smart Bar™ concept is perfect for spas short on space or looking to expand their treatment offerings. The beauty of this system is that the spa professional can easily add and remove Pods to customize her Bar. For example, she can quickly remove the Wax Pod and replace it with a Facial Pod to create a Facial Bar when she is performing facials, then swap out the Facial Pod for the Body Pod when a client comes in for a Body Treatement. It is that easy! Each of the Pods and Bowls can also be used on their own, without the full Bar, creating endless possibilities for treatment expansion for spas everywhere! The Bar has plenty of space to create a mixed bar and has heavy duty casters, so that it can be moved easily from room to room. The system allows the spa to become incredibly versatile with its treatment offerings. There is nothing like it on the market today! The Amber Facial Bar™ has a sleek design that allows the spa esthetician to create hundreds of effective facial treatments all in one mobile station. The bar utilizes the new Amber Facial Pod technology that includes an 8 oz. bottle warmer, facial stone heater, facial paraffin warmer, heated mud/masque warmer with a removable mixing bowl and a 10-slot Amber Serum Rack. The Bar can include a mag-lamp, towel cabi and plenty of product shelf space. 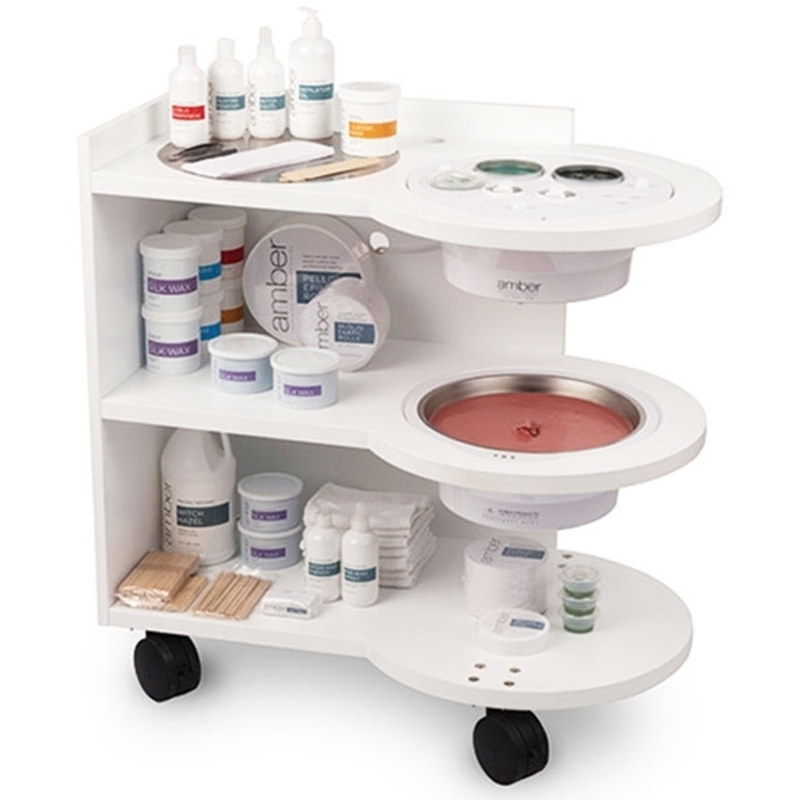 The Amber Wax Bar™ allows the esthetician to efficiently create a mobile, fully functional and comprehensive wax station. Using the new Amber Wax Pod technology that combines a double wax heater, a personal hard wax heater and two Amber MD wax tube heaters all in one uniquely designed "Pod”. The sleek design of the Wax Bar allows the esthetician to add additional Pods for multi-purpose waxing, high-volume hard wax or for a multi-purpose treatment bar. All new Amber Treatment Serums are incorporated into the Wax Pod for convenient treatment application! The Amber Body Bar™ utilizes the sleek design of the new Amber Body Pod. 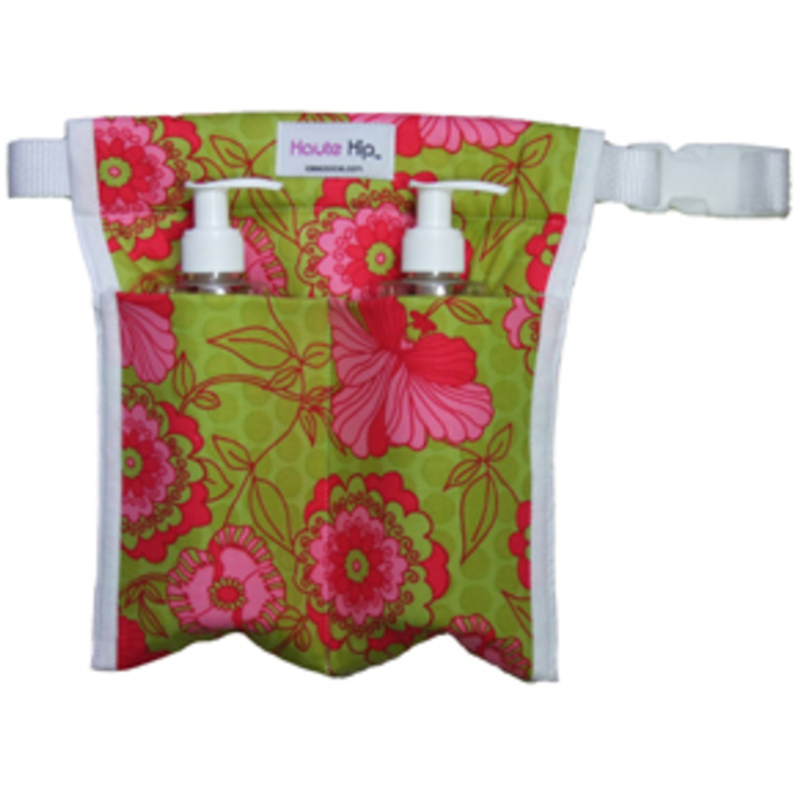 The Pod includes large and small warmers with removable mixing bowls, two 8 oz. bottle warmers, a 5-slot Essential Oil Rack and a 5-slot Body Serum Rack. The therapist can create custom body masques, body muds, oils, lotions, and salt/sugar scrubs by mixing in fresh herbs, mud powders or essential oils with base oils, creams, salts, sugars or lotions. Create warm, fresh custom body treatments! Bar can include towel-cabi or additional Pods to create a multi-functional bar. The Amber Massage Bar™ utilizes the Amber Massage Pod which can warm two 8 oz. bottles, one 32 oz. bottle, and one 8 oz. jar simultaneously, a warmer with a removable mixing bowl and a 10-slot Amber Essential Oil rack all sleekly designed into one "pod”. The Massage Bar allows the massage therapist to easily add additional pods, like the Amber 80-Stone Massage Pod, and a towel-cabi to create a comprehensive massage station on wheels. 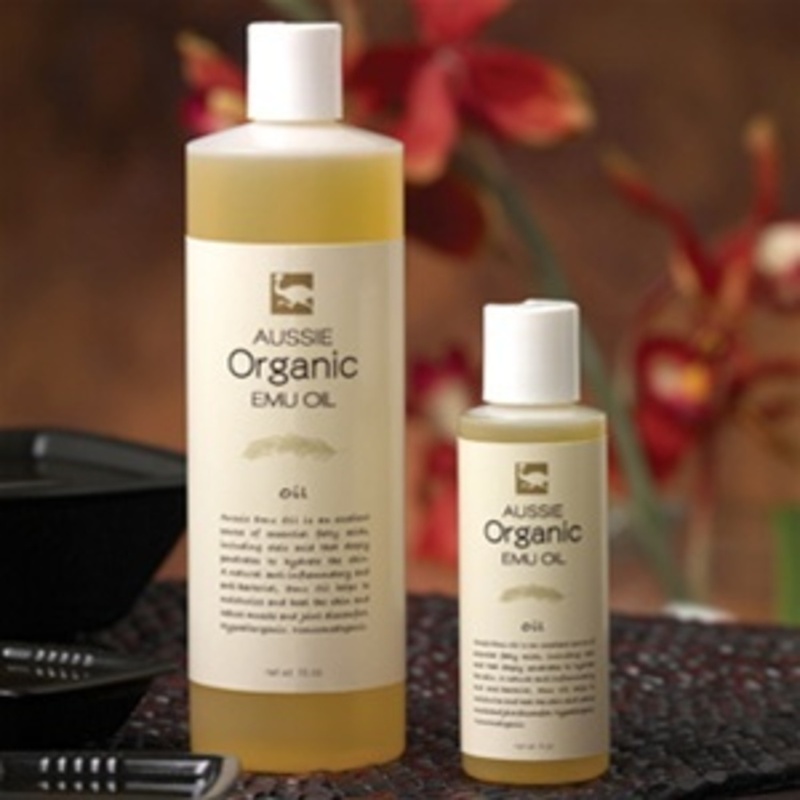 Create new inspiring treatments with blends of oils, lotions and creams and serve them up warm with a professional style! The Amber Manicure Bar™ is a revolutionary concept that delivers a totally unique manicure experience! The Bar includes the all new Amber Manicure Pod technology that houses the cutting edge Solo LED gel-polish lamp, a paraffin bath, lotion warmer and a 5-slot Amber Serum Rack. The Bar also includes a recessed Manicure Bowl. By lifting the work space inlay the manicurist can treat the client to a warm soak, scrub and masque! The unique design of the Manicure Bar creates a professional appearance and a revolutionary manicure experience - all at the Bar! 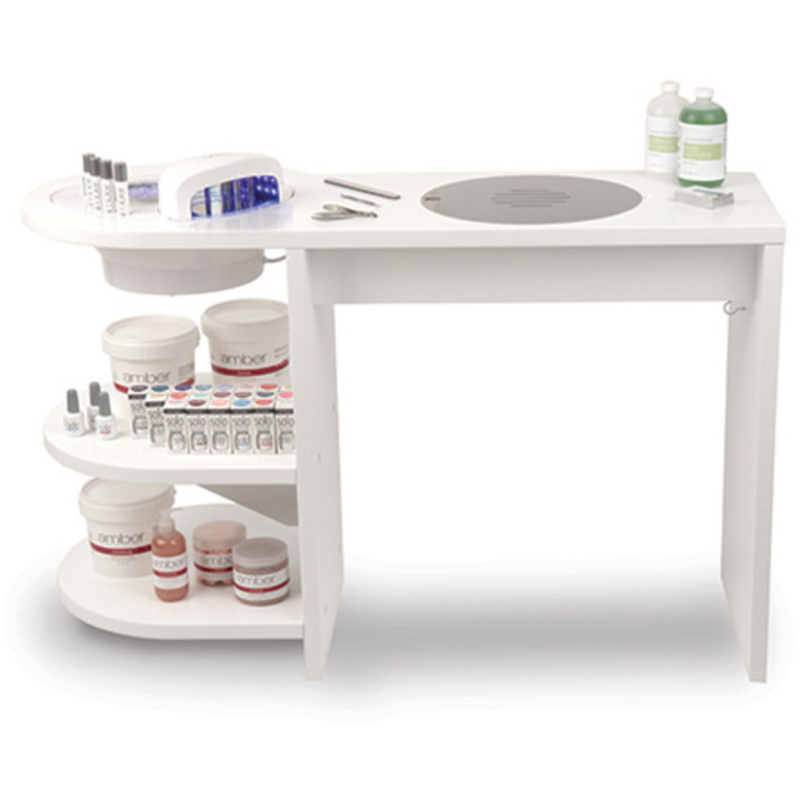 Manicure Pod - houses the cutting edge Solo LED gel-polish lamp, a paraffin bath, lotion warmer and a 5-slot Amber Serum Rack. Facial Pod - includes an 8 oz. bottle warmer, facial stone heater, facial paraffin warmer, heated mud/masque warmer with a removable mixing bowl and a 10 slot Amber Serum Rack. Massage Pod - can warm two 8 oz. bottles, 32 oz. bottle, one 8 oz. jar, and contains a warmer with a removable mixing bowl and a 10 slot Essential Oil rack. Body Pod - includes large and small warmers with removable mixing bowls, two 8 oz. bottle warmers, a 5 slot essential oil rack and an 5 slot Body Serum Rack. Wax Pod - combines a double wax heater, a personal Hard Wax Heater and two Amber MD wax tube heaters all in one uniquely designed "Pod". Body Bowl - an elegant way to heat massage products, muds and masques. Stone Bowl - an elegant way to heat massage stones. Manicure Bowl - an elegant way to heat water, oils, lotions, muds and masques for manicures. Wax Bowl - high quality, heavy duty, large capacity wax warmer can be used to warm both hard or soft depilatory wax and is equipped with a very stable temperature control. Mango Healing Therapy Massage Cream by Pro Nail is your perfect solution for affordable pedicure! Great for Spa Pedis - lotion that does not compromise quality. Infused with vitamins A, B, C and E, Hyaluronic Acid and natural extracts to wrap your client's skin in moisture. Great slip means a little goes a long way. 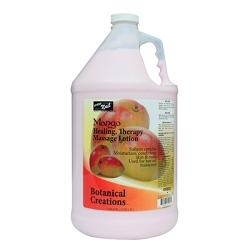 Tropical mango scent is great for summer time manicure and spa pedicure treatments. At only $12 per gallon this means only pennies per treatment cost. This is a great choice if your are looking for an economical Multi-purpose lotion that can be used for for Skin Care, Nail Care or Hot Oil Manicures. Perfect for softening cuticles and moisturizing dry skin.